Lewis, ITV’s long-running Morse spin-off, is effectively cancelled after UK series nine. Kevin Whately was first cast as Robbie Lewis opposite the late John Thaw’s Morse, on the forerunning British drama of the same name. 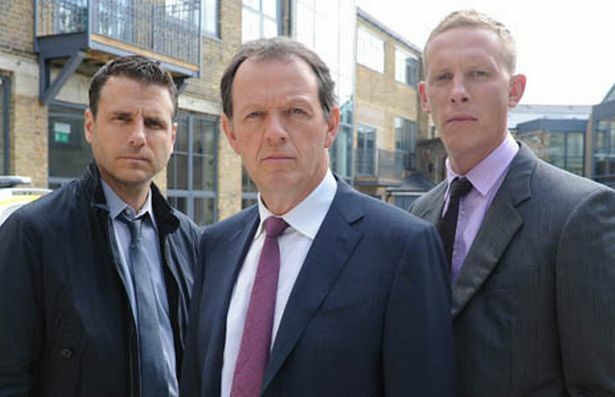 Reportedly, Whately and Lewis co-star Laurence Fox, who plays Detective Sergeant James Hathaway, have decided to retire from their roles, after 33 episodes, so as not to outdo Thaw’s Morse, which also ran for 33 episodes. ITV will air part one of the two-part series finale, “What Lies Tangled,” today, November 3, 2015. Lewis will conclude its UK run on November 10. In the US, the series, which airs on PBS under the Masterpiece! banner, is titled Inspector Lewis (and its predecessor: Inspector Morse). The final season has yet to air. Because PBS combined the second and third UK series into one season, the final season of Inspector Lewis will, on PBS, be referred to as season eight. Along with Whately and Fox, over the years, the cast of Lewis has featured Rebecca Front, Angela Griffin, Claire Holman, Jason Durr, and Steve Toussaint. What do you think? Have you been watching Inspector Lewis on ITV or PBS? Do you think it should come to an end? Would you have watched a tenth (or US ninth) series (season)? More about: Inspector Lewis, Inspector Lewis: canceled or renewed?, Lewis, Lewis: canceled or renewed? Lewis: Has the UK Series Ended? I really hope that inspector Lewis and Hathaway return. With all that we have to choose from on TV, I would still prefer inspector Lewis. I’ll watch the reruns. Love the series! Would love a new series with Hathaway also! Some years ago we were visiting Colonial Williamsburg in Virginia. We overheard some other tourists chatting and recognized the British accent. We ran over to them smiling and said, “Morse!, Midsommers! Foyles War! At first they were a bit startled but then clasped our hands and the next hour was spent reminiscing over our favorite episodes. We love the British mysteries and we’re from Austin, Texas. So sad! I have thoroughly enjoyed watching every series and shall miss the ‘date’ with Lewis and Hathaway. Might there be an ‘Inspector Hathaway” spinoff?! Please ! Somebody do a spin-off of Inspector Lewis. One of my favorites. I am sad to see that Insp Lewis is ending. I’ve watched since the start with Morse. In fact, watch a number of British mystery shows as they are bought and distributed through PBS Masterpiece Mystery – they are wonderful! Would be great if Laurence Fox would agree to a spin off called Hathaway! Have always enjoyed his character and how he and Lewis played off each other. I am incredibly saddened by the ending of this great series. I have bought and followed all of the episodes. There is nothing to replace this show. I watch only British crime shows, dramas, and mysteries. It is hard to believe that so many shows that I love Have ended. This show especially kept me interested and not one of the episodes disappointed me. It is getting hard to find shows that peak my excitement like this one. What a disappointment. What a great name for a new series .. ” HATHAWAY ” .. with part time Inspector Lewis joining in sometimes to shed some light on to a tricky case .. just as Thursday did with Morse .. PLEASE ?? It has to be Whately and Fox of course .. well all the same cast really otherwise no point .. They are all great ! I will miss Inspectors lewis etc.very much.I WOULD watch many more seasons with Whately and Fox. I read the books Collin Dexter, the Inspector Morse has been unmatched as well as the continuacion Lewis.You may have a new season .season 10?